In a recent online chat between PocketCultures contributors from around the world, we talked about books which reflect our countries and cultures. Here are our recommendations. In February we will show you some street scenes around the world. 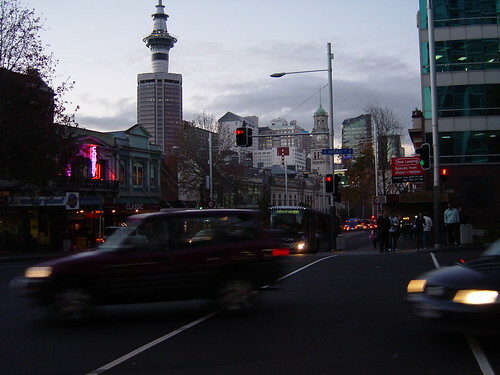 This is an evening shot of my city, Auckland, with the Sky Tower rising in the background. For the last in our series of water photos, I wanted to show you this one I took at a local shopping centre here in Auckland. 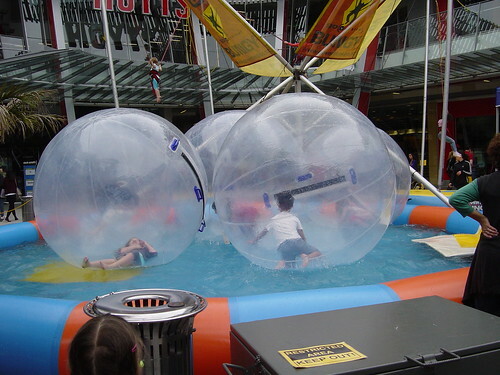 This kind of activity is very popular with Kiwi (New Zealand) children. 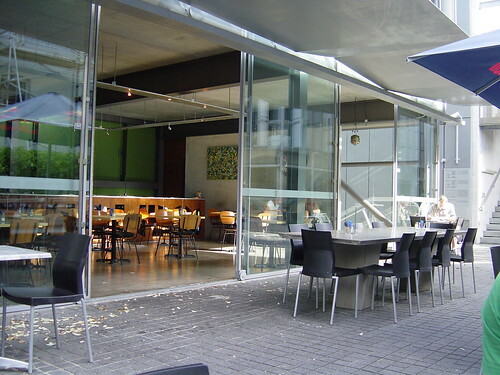 For our last doorway in the series I am submitting this photo of the entrance to a cafe in Auckland, New Zealand called Benediction.